Rajeev Khandelwal, who has been exploring different genres ever since he stepped into showbiz, says that he has tried everything from being a lover boy to playing intense roles. He is currently hosting Zee TV's talk show Juzz Baatt. 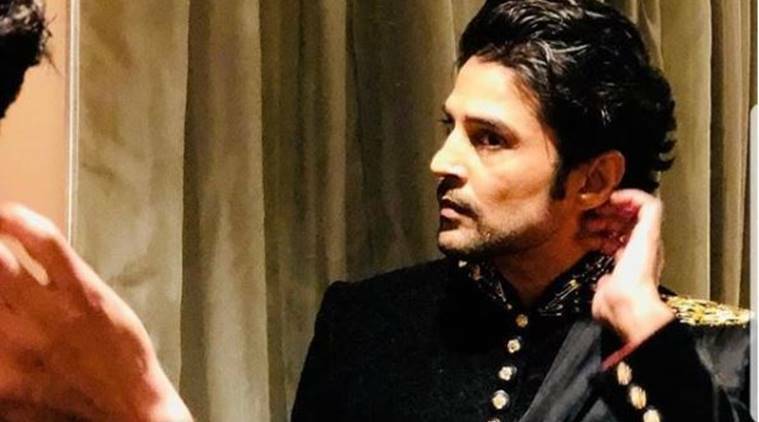 Rajeev Khandelwal likes to describe himself as “an explorer, a husband and an actor”, but thanks to his on-screen roles, he has been labelled as a lover boy, a charmer and more. He says owing to the different genres and mediums that he has tried, it won’t be easy to “slot” him now. It doesn’t take long for actors to earn labels. Asked if there is any specific label that he would like to shake off, Rajeev told IANS here, “When I started off (in showbiz), I was labelled as lover boy, then I did films that were very intense and then I did a show which was very different. Now I know that when people think of me, there are sections in society who like Kahiin To Hoga or Left Right Left or Aamir. “So now, I think it is very difficult to slot me. I have done a lot of mediums. I am doing projects which are interesting.” But he is yearning to do plays. “Theatre is something which has not happened for me. I think really highly of theatre. That would be one more thing that I would like to try other than various characters,” said the actor, best known for playing Sujal Garewal in the show “Kahiin To Hoga” from 2003-2005. His to-do list might be long but joining a reality show as a contestant is not a part of it. “I am not meant for reality shows. I am not against them, but as an individual, I don’t think I can compete for something to show my talent. That doesn’t mean that he likes to stay away from non-fiction shows. After hosting shows like Deal Ya No Deal and Sacch Ka Saamna, he is back as a host of another TV project. Zee TV’s Juzz Baatt – Sangeen Se Namkeen Tak shows Rajeev firing questions at his celebrity guests and also having a gala time with them. “It’s too early to say, but so far, the response has been good. I am also learning. I am getting more comfortable with the role as a host. This is not a scripted show. I will take my own time to improve myself as a host. I know that I will be one of the best hosts,” Rajeev said with a smile. “Why should I share a picture of myself doing something at home? It takes a lot of effort (to put photographs or videos of himself on social media).